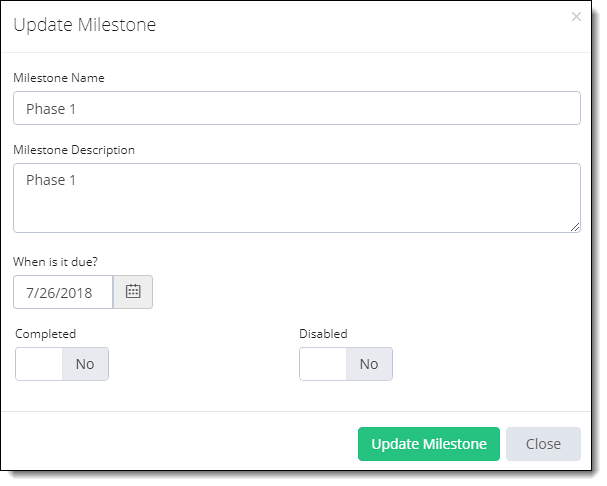 Milestones play a vital role when creating Project’s Tasks. It allows administrator/project manager to manage tasks in sets which are called milestones. 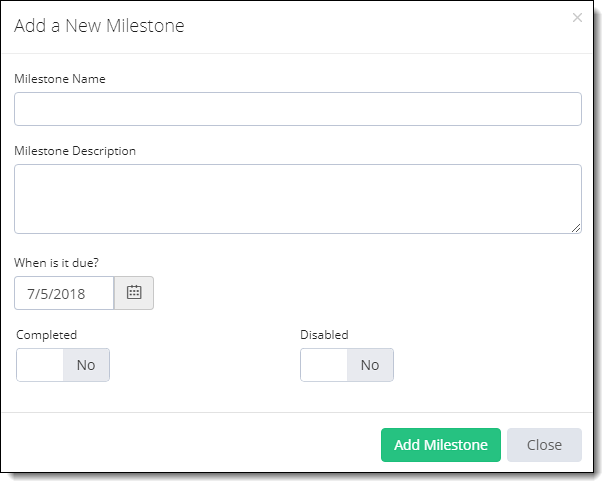 If 1 or more tasks created associated with milestone and that milestone is completed, all the tasks associated with this will be closed as well. Milestone can only be created after the project creation and should be created before any Project’s Task. Click on the Projects link at the top-left of the application. Navigate to the project for which you want to add the Milestone and click Options gear icon. Select the Add Milestone icon. Navigate to the project for which you want to access the milestone and click Options gear icon. Navigate to the Milestone which you want to edit the click Options gear icon. Select the option Edit Milestone. Navigate to the Milestone which you want to Complete/disable and click Options gear icon. Click on the Completed/Disabled Switch.